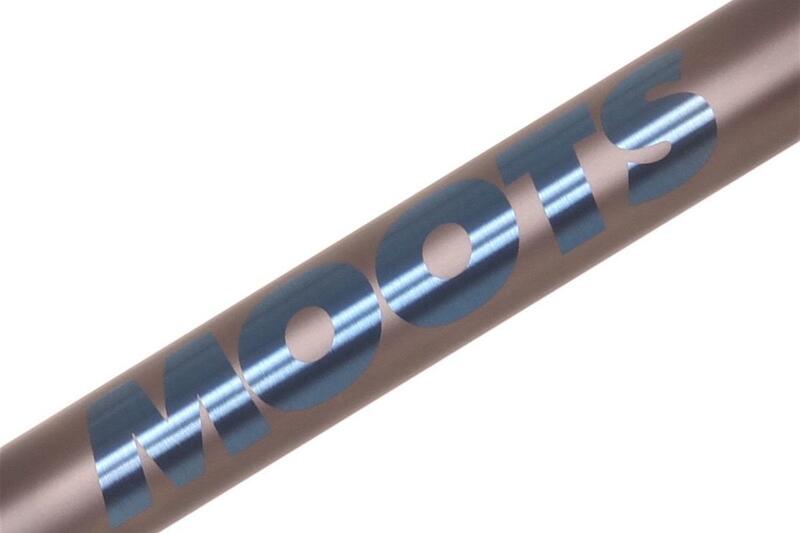 Last year Moots expanded its range of stock decal colour options, and the list continues to grow as it has just unveiled a new range of finishes to choose from. 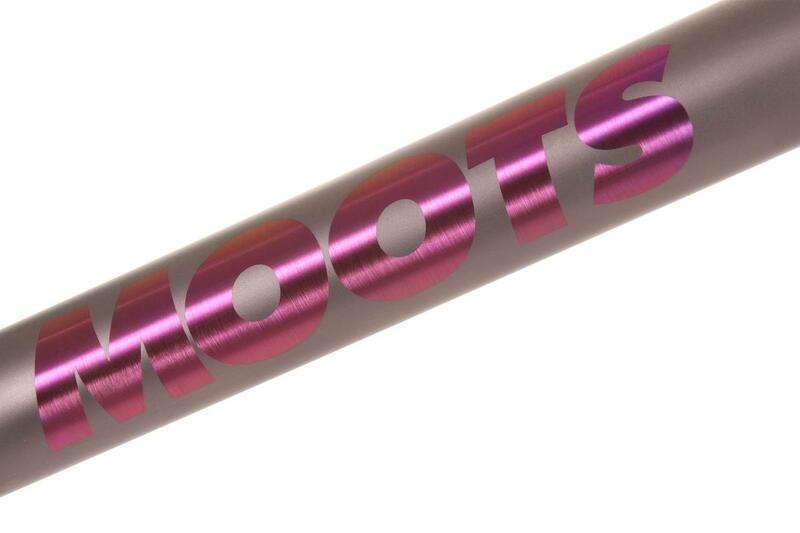 Moots is of course well known for the highly tuned ride and craftsmanship of their bikes, and to better complement these, they've now turned part of their focus to furthering the aesthetics of their frames. In addition to their standard decals, they've developed two more tiers of graphic embellishments - Premium and Signature finishes. 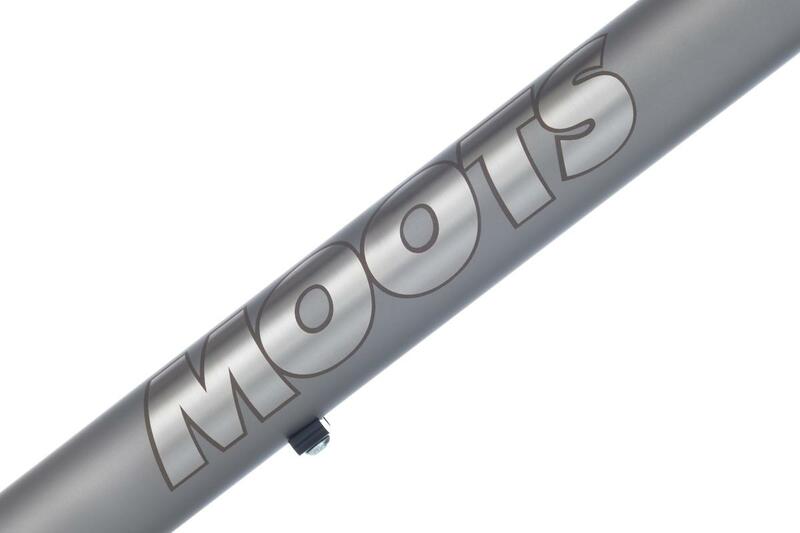 The Premium finishes build on the classic look that Moots is known for. 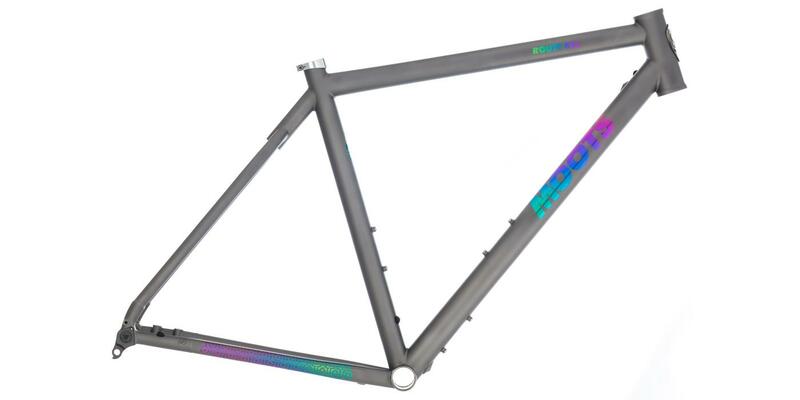 Instead of relying on simple decals though, all the finishes employ varying combinations of anodizing, etching and polishing to achieve a look that is a cut above their standard frame branding and lend both durability and an element of distinction to the overall appearance of their frames. 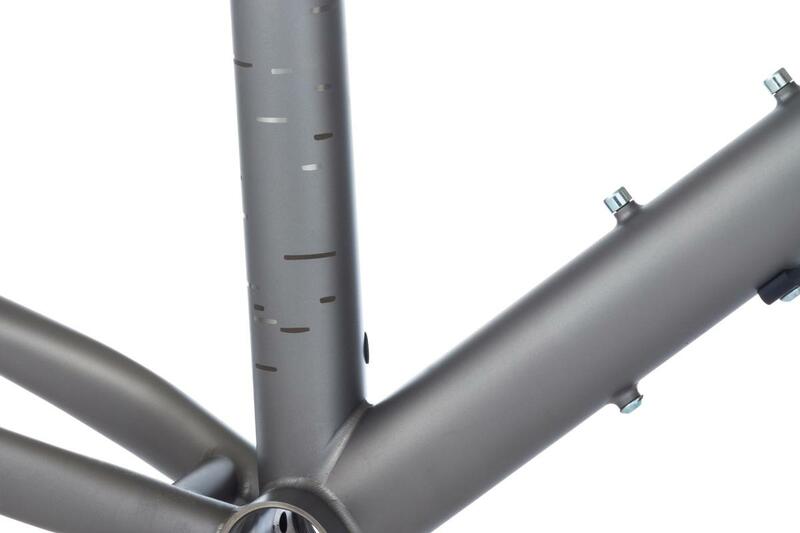 The Signature finishes implement the some of the same techniques used in the Premium finishes, but with greater intricacy to go well beyond traditional Moots branding. 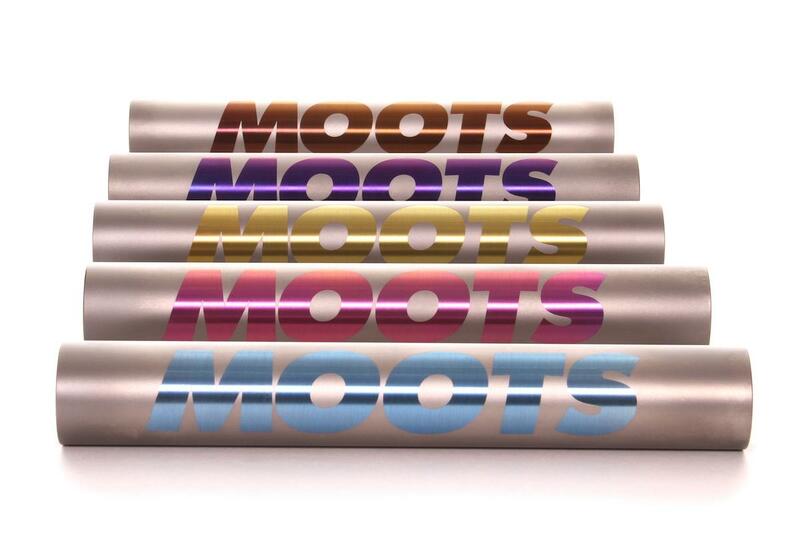 By developing painstaking sequences of masking, anodizing, and polishing, the designers at Moots have been able to introduce graphic elements never before seen on Moots frames. 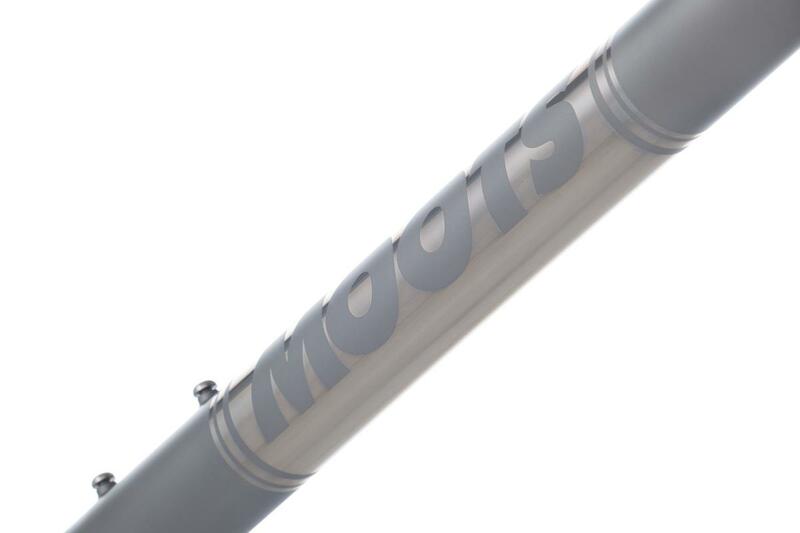 Intended as limited edition offerings, the new Signature finishes will have a life cycle, though Moots is open to elevating some designs to evergreen classics when they become sought-after customer favourites. 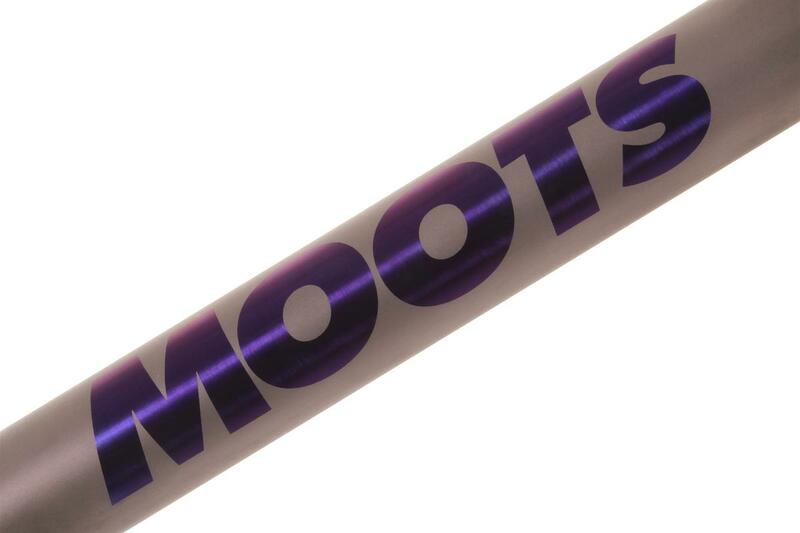 Tempted by a Moots? Drop us an email info@bespokecycling.com or visit us instore to find out more. 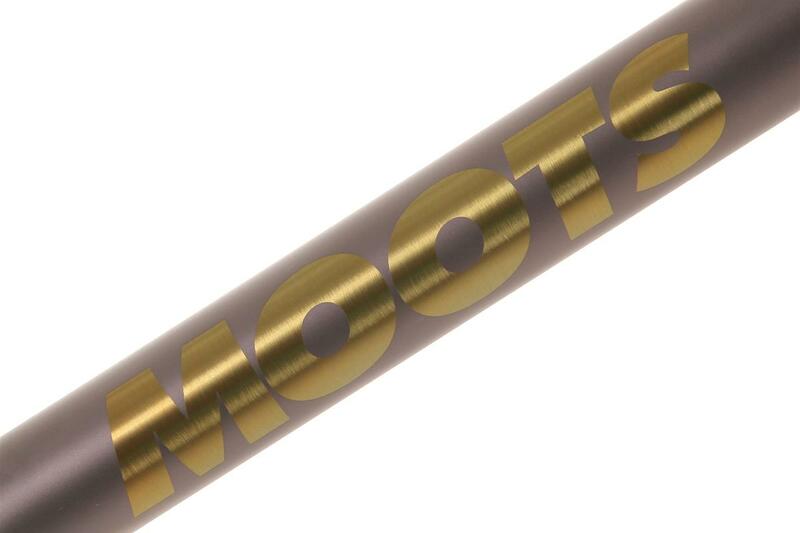 Our Head of Bike Fitting, Dan Pells, takes a closer look at the adventurous (and muddy) Moots Routt RSL.